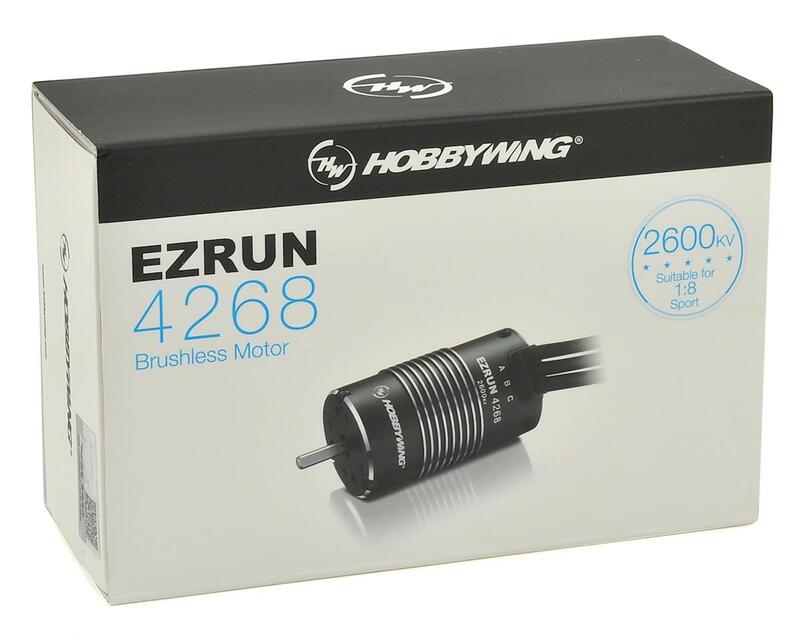 This is the Hobbywing EZRUN 2600kV, 4268SL Sensorless Brushless Motor. This 4268SL pairs perfectly to the Hobbywing EZRUN Max8 ESC and is ideal for 1/8 scale applications, such as buggy, truggy, SCT and on-road. 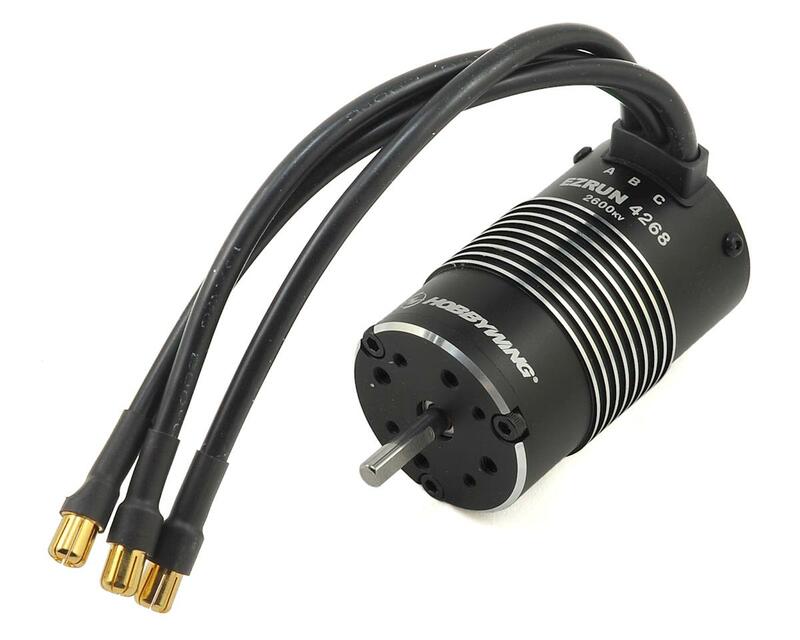 4 pole rotor for high torque, fast acceleration response and stable power output. 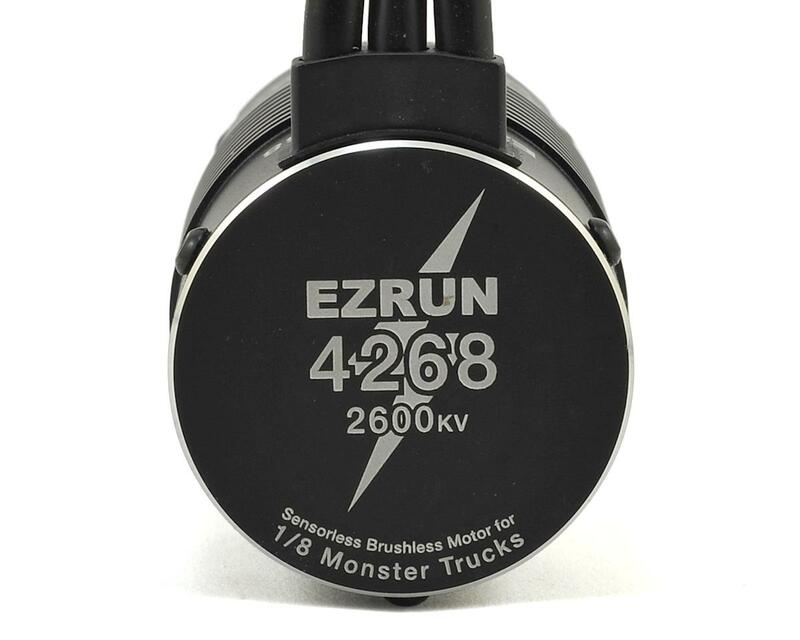 This EZRUN motor is a perfect match for the HOBBYWING EZRUN MAX8 ESC. How to Mount the Motor into a RC vehicle. M3/M4 mounting screws (4*M3 & 4*M4) are needed here, as the mounting holes are 8mm in depth, so we don't recommend using the M3/M4 screws with the length exceeds 10mm to mount the motor into your vehicle. (Note: please choose the right mounting screws as per your chassis.) Please choose the right mounting screws as per your chassis. How to Connect the Motor to an ESC. There is no polarity on the A/B/C three ESC-to-motor wires, so do not worry about how you connect them initially. You may find it necessary to swap two wires if the motor runs in reverse. Recheck the Installation & Connections. Recheck the installation and all the connections before turning on the power. Purchased this motor for my Tmaxx conversion. Very impressive, great acceleration and torque. Geared for 45-50mph on 3s. Motor temps are 110-120. Gotta love hobbywing stuff!! !